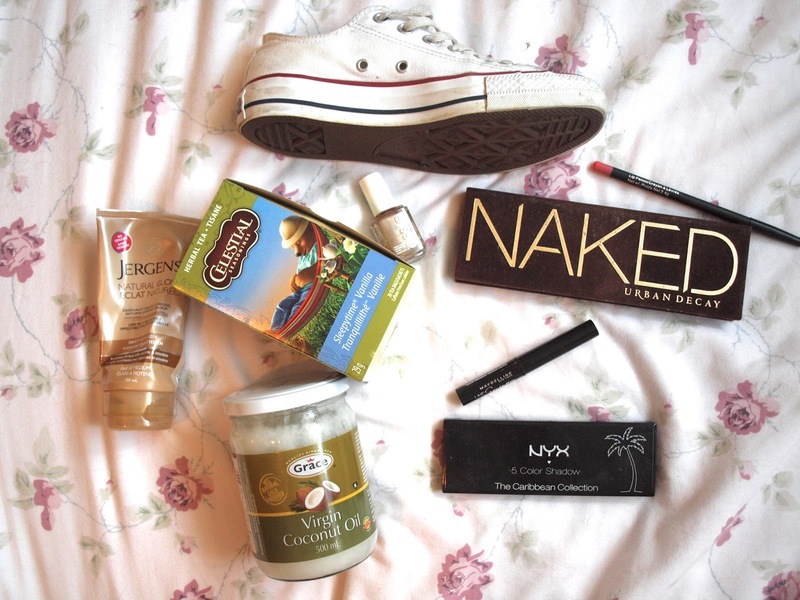 We are done with another month which means monthly favourites! And its now officially summer and soon the month of July also known as my birthday month, i'm turning 17 which is pretty crazy! How awful is that drawing of a sneaker haha! Anyways lets get into my favourites for this month! I've had this colour since December and didn't really like it at first because I don't really like metallic polishes. 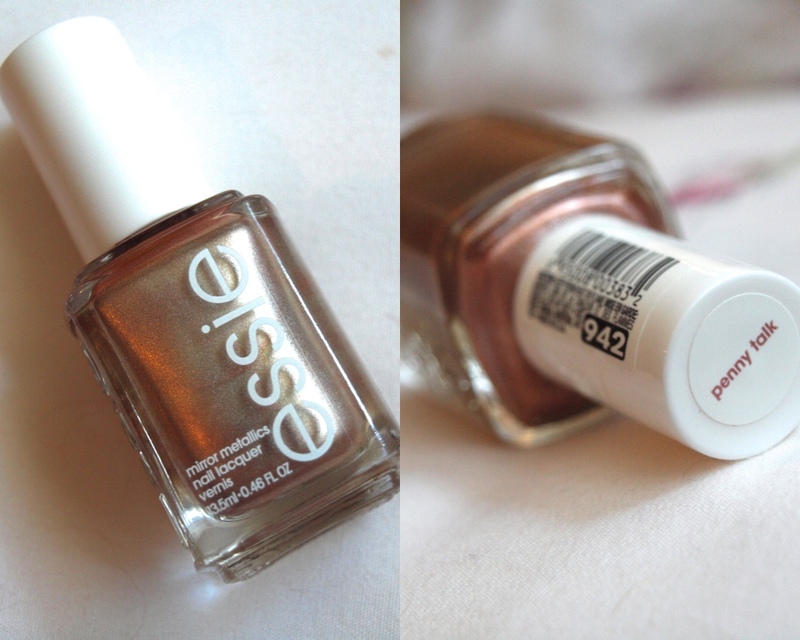 But this colour looks so good on your nails, almost like a really new penny when it almost looks like rose gold... It's perfect! I actually ate all of these so I hope you don't mind a blurry stock photo! 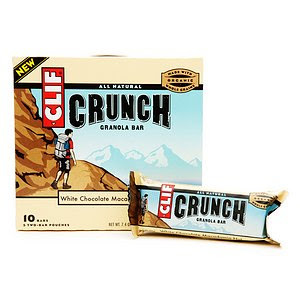 These clif bars are peeeerfect, if you love crunchy granola bars and white chocolate macadamia nut cookies I think that you will love these! I would bring these to school and usually eat them after lunch and the heat would melt the chocolate and it made them so much better! This particular kind is actually pretty hard for me to find so when I see them in store I stock the hell up. Ive been drinking this tea for more than a year now but very recently I have fallen in love again. My Tazo calm tea has been what I drink before bed for a while now but I have kind of gotten sick of it so I went back to my Sleepytime Vanilla by Celestial. Its perfect because I don't like to add too much honey in my tea before bed and this tea is sweet enough that you need barely any! I'm sure you all have heard of this before, I've been using it for as long as I can remember and it hasn't failed me yet! 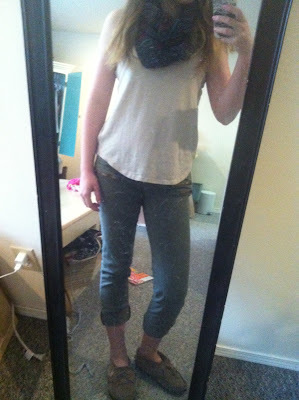 I am very fair and all of June there hasn't been enough sun to go out and tan so this is perfect for me! The only this about this one I have right now is that it says it is odourless and that is a lie! I apply mine at night so when I put it on it has a smell but it is subtle and pleasant, and when I wake up in the morning all I can smell is tanning lotion! 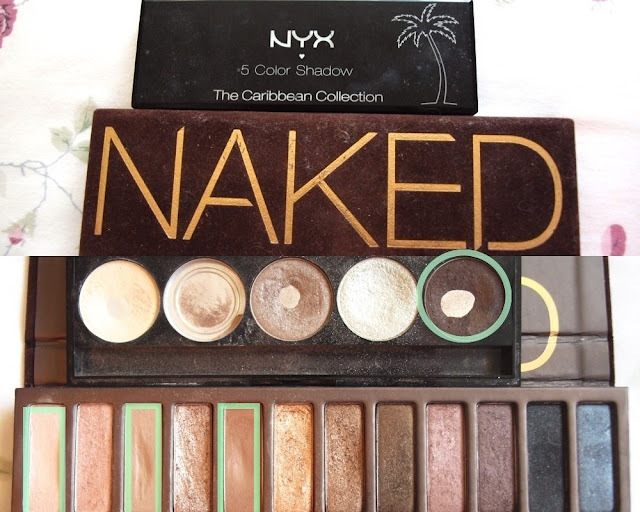 Next thing is an eyeshadow look using the Naked pallet and my NYX pallet that is so old I doubt they even sell it anymore. I put Urban Decay's Virgin (shimmery white colour) all over my lid, then I will mix together Naked and Buck to create a crease colour. To finish off the look I will go into my NYX pallet with a dense crease brush and the dark brown to deepen up the outer V! Top shade: Urban Decay "Virgin"
No surprise here, I've worn these babies at least 3 times a week every week since I got them and i'm not ashamed! 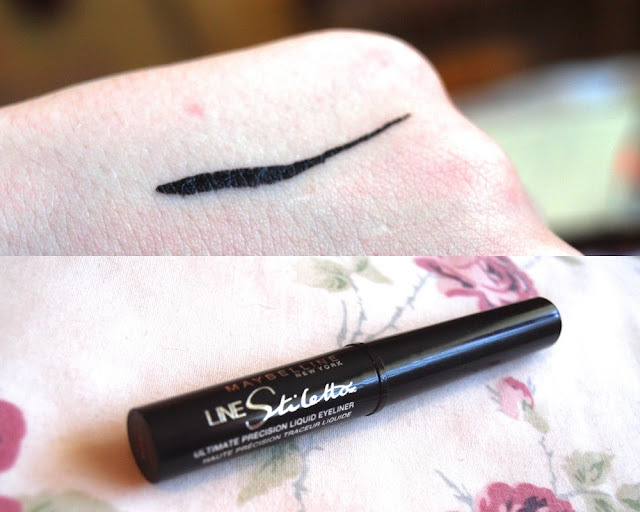 I heard how good this liquid liner was so when I needed a new one I opted for this. 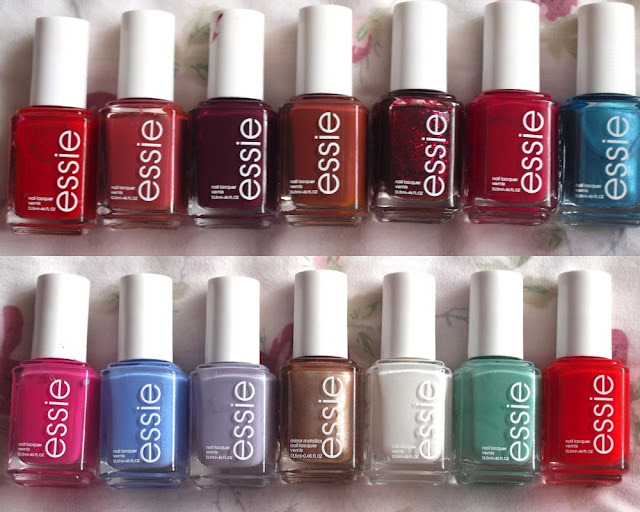 At first I hated it, the line was so messy and barely any product was coming out. 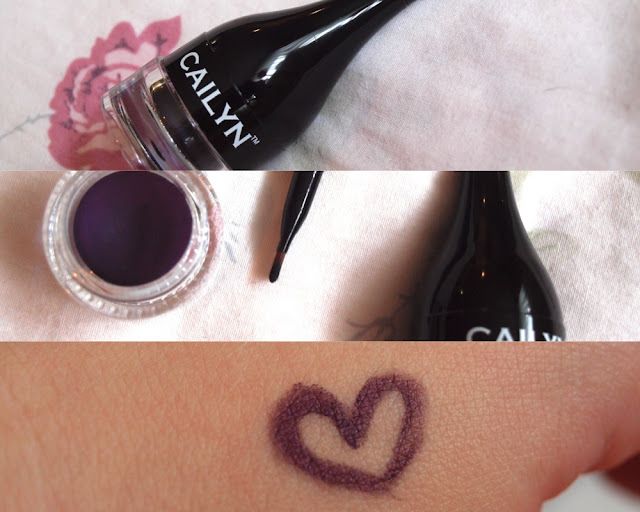 Until a week later I realized I had to shake it before every use....... Now that I know how to use it I think it is a good eyeliner! As most of you may know, GFC is going to be leaving us as of July 1st... Google Friend Connect (GFC) is a source on blogger that enables you to follow some of your favourite blogs. I don't want to loose some of my followers so if you would like you can follow me through bloglovin! I always leave my links at the bottom of my posts but for those of you who don't see that, this reminder is for you! 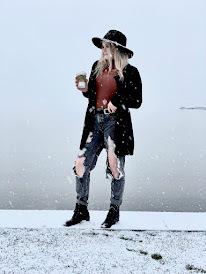 Click here to go to my bloglovin profile! 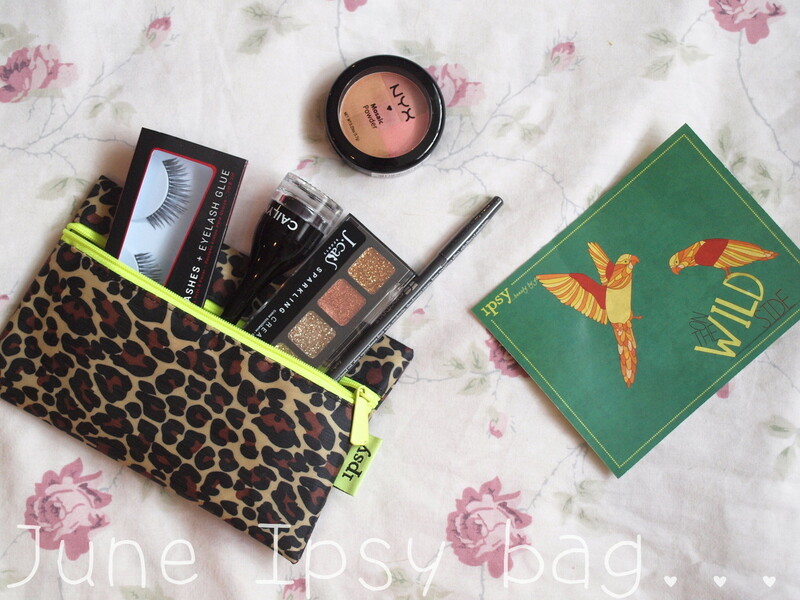 I am glad to say that this will be my last Ipsy bag ever, last night I unsubscribed and moved over to BeautyBox5. Glossybox doesn't ship to Canada anymore which is upsetting but that is okay because BeautyBox5 looks pretty good to me! 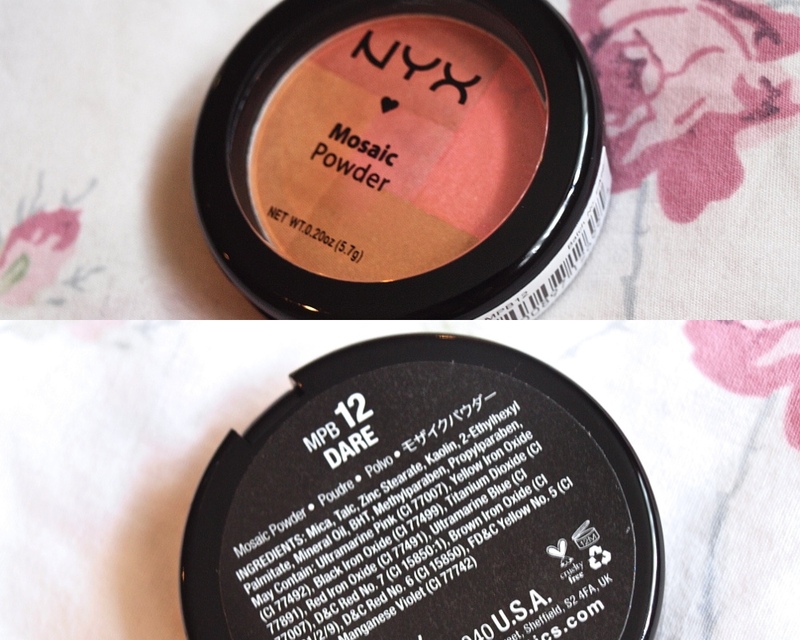 I do think that I will like this blush, NYX always seems to have good blushes and this shade looks perfect for summer! The pigmentation on this one doesn't seem too great, but that is good for me since I already have naturally rosy cheeks. This eyeshadow palette is full out glitter, it isn't just a layer of glitter on the top. Personally I won't be using this too often, but maybe I will use it for a night event if I have one coming up. Again I will probably use these for some kind of night out because i'm not a big fan of false lashes, but when I do use them I hope the glue works or else this will be a big mess. 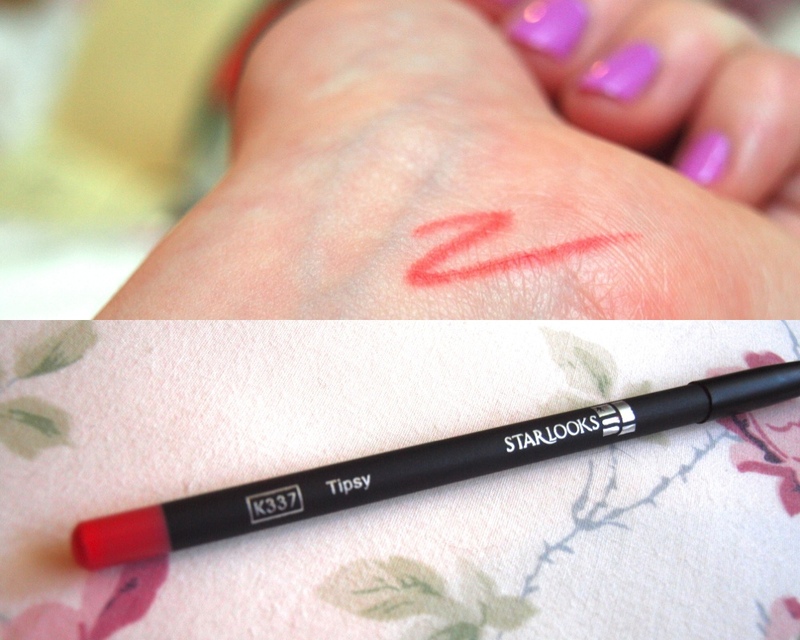 The last thing I received is this lip liner pencil which I am pretty excited about. 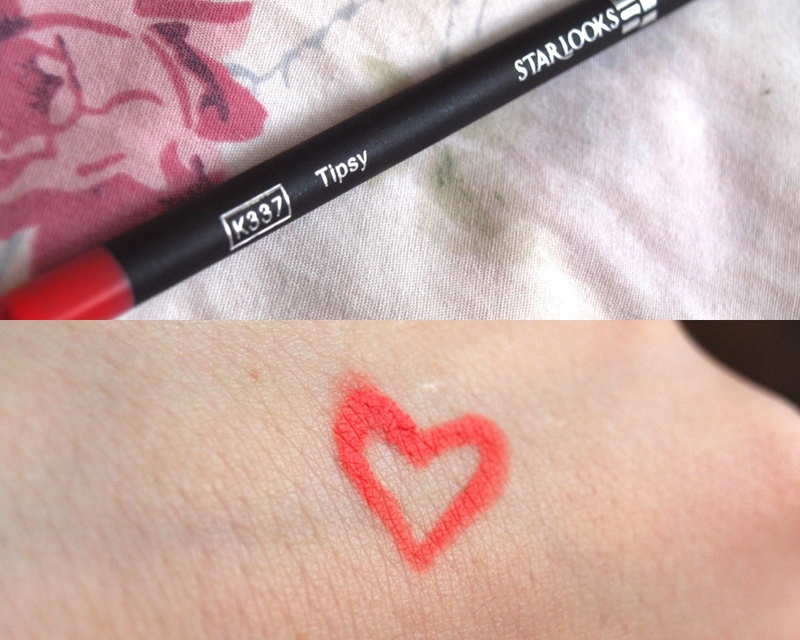 The colour is very pigmented and bright so it will be perfect for summer! You may see this pop up in June favourites because I can already tell that I will be loving this! 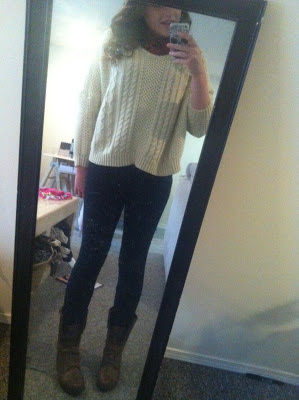 Only three items to my outfit, but I had an english exam and didn't want to be bothered with different items of clothing or jewellery. 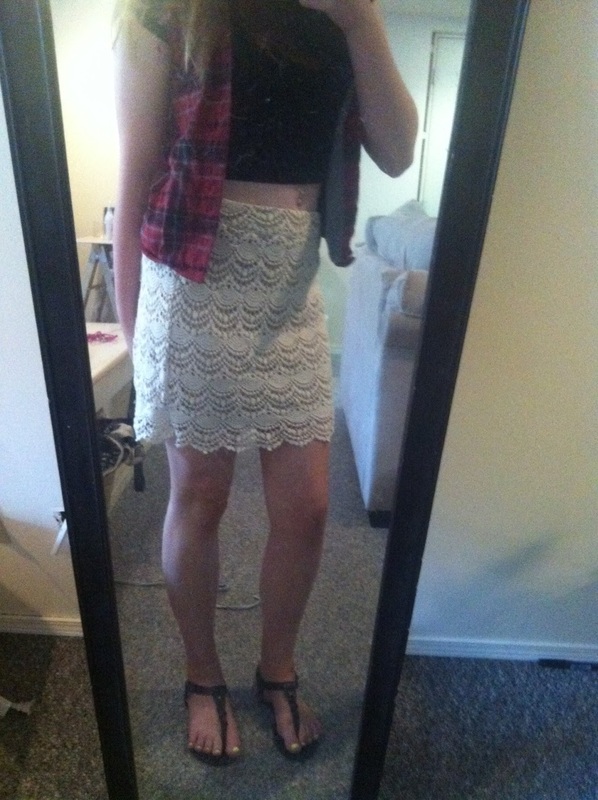 That was todays outfit, I really wanted to make and OOTD post because I love these shorts so much and kinda wanted to show them off ;) Now I'm going to insert a few random photos that I also took. Garage was having a sale on high waisted shorts, they were buy one get one 50% so obviously I had to get a couple pairs. Both pairs were $35 but one was half off! These shorts are so comfy and "hug me in all the right places", they are a little too small though. These shorts are from Urban planet and were $8. They are incredibly soft so I can see myself lounging in them at home almost everyday. 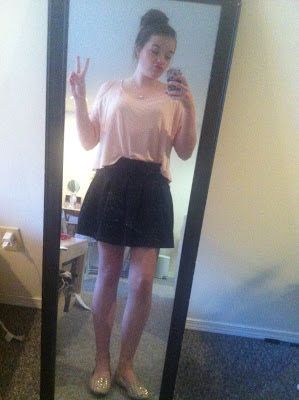 This skirt was also from Urban planet and $8. 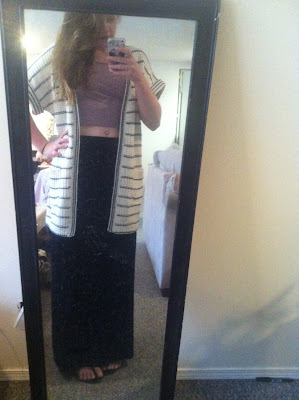 It is super light and flowy, perfect for the summer heat. I also like how high it goes on my waist. These last items are from Bluenotes and they both were on sale for $10.